M. Elaine Kostenblatt - Howard B. Tate & SonFuneral Home, Inc.
​Speigletown – Marie “Elaine” (Tschumi) Kostenblatt, 92, a resident of Speigletown for over 50 years, died peacefully Saturday morning, December 9, 2017, at the Van Rensselaer Manor Nursing Home following a long illness. Born March 5, 1925, in Troy, Elaine was the daughter of the late William F. and Rose (English) Tschumi, and for over 57 years, the devoted wife of Alfred F. Kostenblatt, who predeceased her April 24, 2008. Elaine and Al were married June 4, 1950. Elaine attended the Raymertown District School and was a graduate of Troy High School. 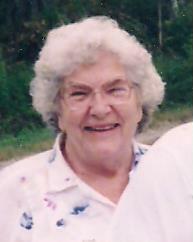 Elaine was a life member of Evangelical Lutheran Church of Raymertown and a member of the Town of Pittstown Seniors (TOPS), and enjoyed many bus trips and senior activities with her friends. While not an avid outdoors-lady, Elaine and Al liked to spend quiet quality time together through hunting and fishing. Mrs. Kostenblatt is survived by her five children, William F. Kostenblatt of New Windsor, Dr. Susan E. Kostenblatt of Germansville, PA, Cynthia J. Littlefield of Wynantskill, Daniel A. Kostenblatt of Waterford, and Terry L. Kostenblatt of Mechanicville, 11 grandchildren, Jennifer, Carole, James (Stefanie), Jessica, David, Adam (Tiffany), Brian, Travis, Sara (Oliver), Steven, and Laura, 6 great-grandchildren, and several nieces and nephews. In addition to her parents and late husband, she was predeceased by her sisters, Wilhelmina “Billie” Hall, Evelyn Bornt, and Mae Monahan, and a grandson, Joshua Parker. A memorial service will be held on Wednesday, December 13, 2017, at noon at the Cornerstone Community Church, 570 Third Avenue, Troy, NY 12182, with Rev. E. Allen Siebold officiating. Burial will follow at 2:30 P.M. at the Gerald B.H. Solomon Saratoga National Veterans Cemetery in Schuylerville. Relatives and friends are invited to call at the church on Wednesday beginning at 10:30 A.M. prior to the service. Memorial contributions, if desired, may be made to the Cornerstone Community Church Kostenblatt Memorial Scholarship Fund, in memory of M. “Elaine” Kostenblatt. Funeral service details are under the direction of the Howard B. Tate & Son Funeral Home Inc., 2237 NY Route 7, Troy, NY 12180.